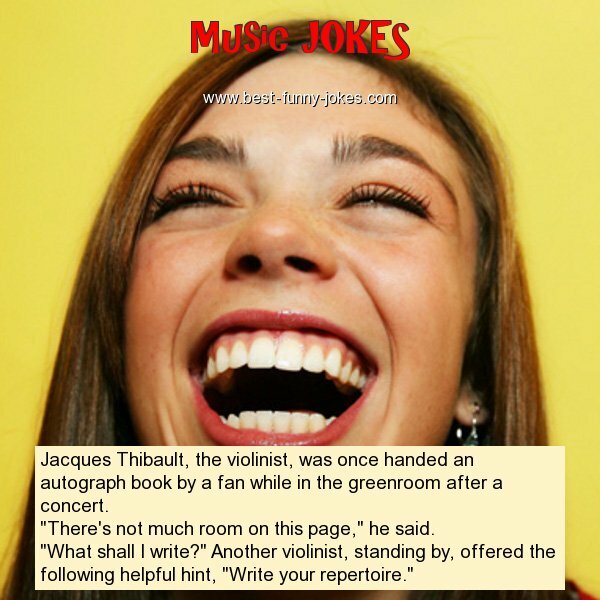 Jacques Thibault, the violinist, was once handed an autograph book by a fan while in the greenroom after a concert. "There's not much room on this page," he said. "What shall I write?" Another violinist, standing by, offered the following helpful hint, "Write your repertoire."